Our 1500-hour course prepares you to be a vibrant and productive participant in the beauty trade. The course covers all aspects of the trade in order to keep you abreast of the latest requirements for the modern hairstylist. Through the use of a wide variety of modern teaching aids such as videos and advanced teaching methods by our fully qualified instructors, you will cover every aspect necessary to become a well-trained and employable hairstylist. You will learn to cut and style men’s and women’s hair as well as colouring, perming, hair relaxing, braiding, manicuring, and application of all types of artificial nails. You will become knowledgeable in skin care and makeup. Our instructors are committed to providing you with the best and most up-to-date training available in Ontario. Our hair cutting course teaches the fundamentals and basic knowledge of the hair cutting process. The school provides you with all of the textbooks and manuals necessary for you studies. Our detailed curriculum is complemented by frequent live demonstrations by noted professionals in the field. The job opportunities are numerous. Jobs are available in beauty salons, as trade technicians, in the theatre, television, and movies. New Classes Commence at the Beginning of Each Month! After completing a total of 1500 hours of training, a student is qualified in both male and female hairstyling. A diploma is awarded by Bruno’s Schools of Hair Design. The graduate must then register as an apprentice in a beauty salon. When competent, the apprentice will take the Ontario Certificate of Qualification examination in order to obtain a certificate for the trade of hairstyling. We offer a very in-depth course. We strive to combine basic with advanced design throughout your studies. To have a place reserved for you, please fill out the attached application and forward it to our schools. Please call to set up an appointment to visit our school and meet our staff. Why should I Choose an OHSA-Member Private Career College? Not all Private Career Colleges are the same. Some may not have received their accreditation from the Ontario government, and so they fall short of providing students with the higher standards set by the OHSA. Members of the OHSA must adhere to specific by-laws which promote excellent training, updated information on Government legislation and continued support to their instructors. 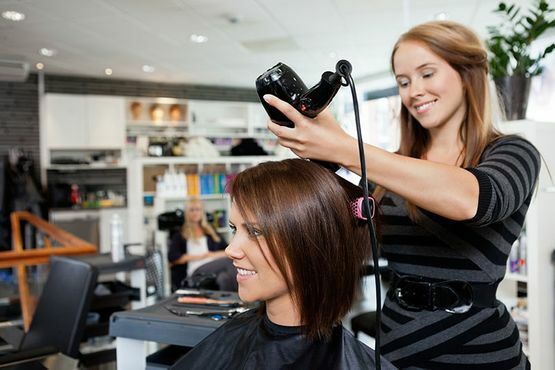 What do Registered Private Career Colleges Teaching the 1500-Hour Hairstyling Program Offer? These private career colleges offer a very efficient and direct route towards obtaining a Certificate of Qualification in the Hairstyling trade. Students are taught by qualified instructors who have the knowledge and experience needed to work with students in a learning environment. Who are the Staff and Instructors? Our Instructors are fully licensed hairstylists who are trained to identify different learning styles and adapt or modify proven techniques to relate to the needs of the individual student. Will I Work on Real People? Private career colleges offering hairstyling courses are open to the public and offer services at reduced rates in order to attract clients for the students in the 1500-hour curriculum contains a large percentage of training on live models. Students in the 1500-hour hairstyling course receive in most cases far more hands-on experience than a student in a full apprenticeship program. Who Hires Students from Registered Private Career Colleges Teaching the 1500-hour Hairstyling Program? Graduates of private career colleges offering the 1500-hour hairstyling program are hired by salon owners or managers because these students have had the necessary training and hands-on experience, and are able to adapt quickly to the salon setting. What Are the Advantages of a 1500-hour Hairstyling Program over a Full Apprenticeship Program? Graduates of a 1500-hour Hairstyling program have had in most cases more practical experience than a full apprenticeship student. Their training has been provided by licensed hairstylists who have also received training as teachers.